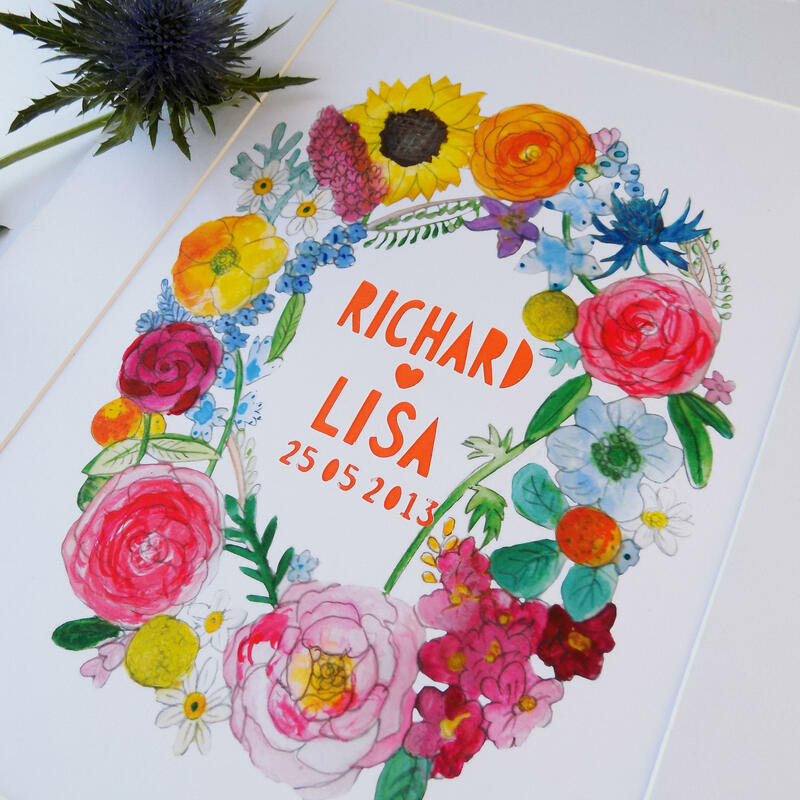 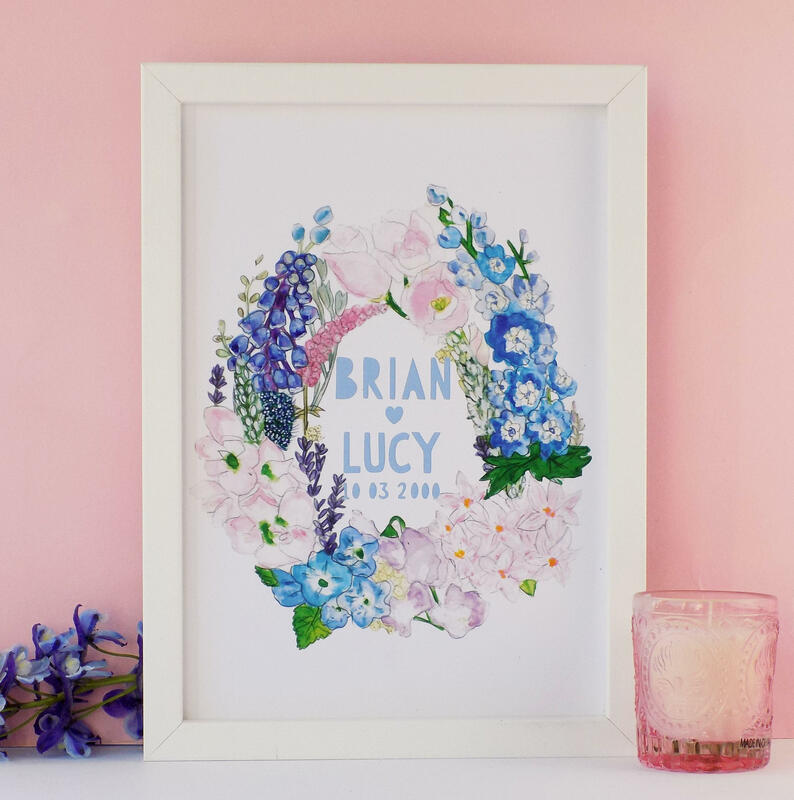 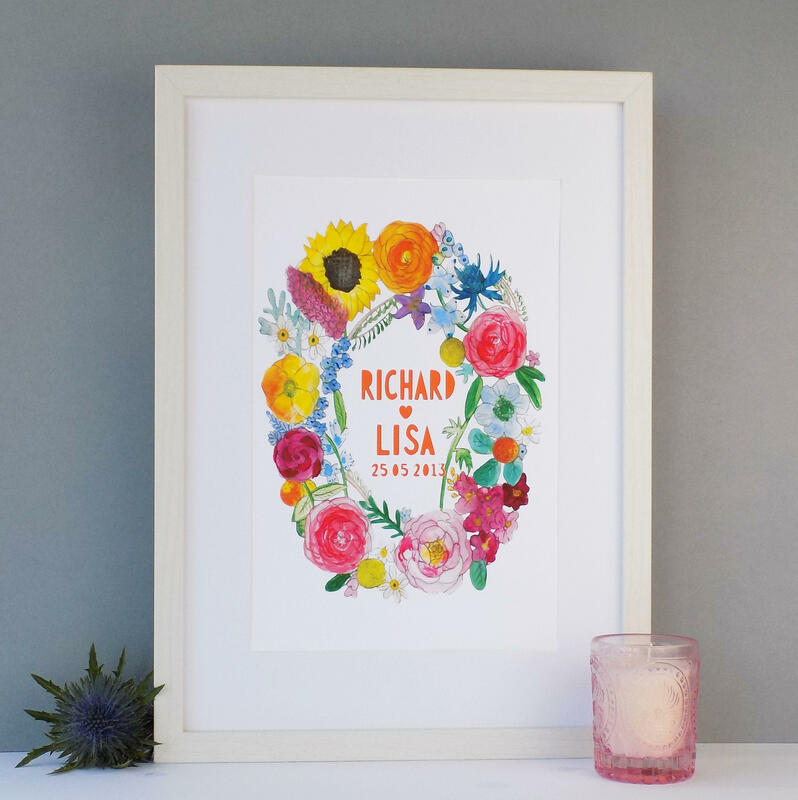 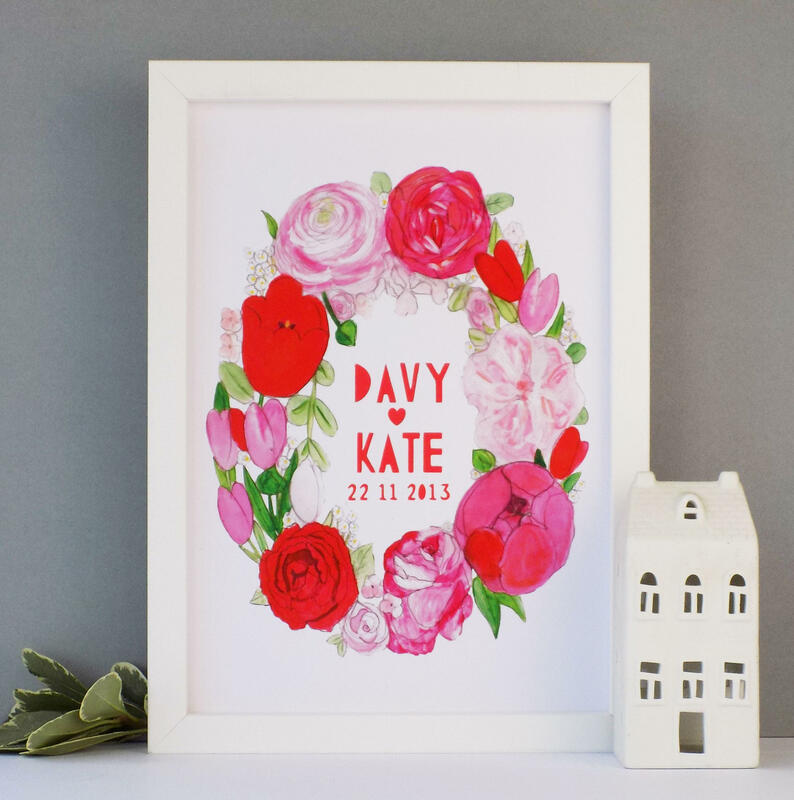 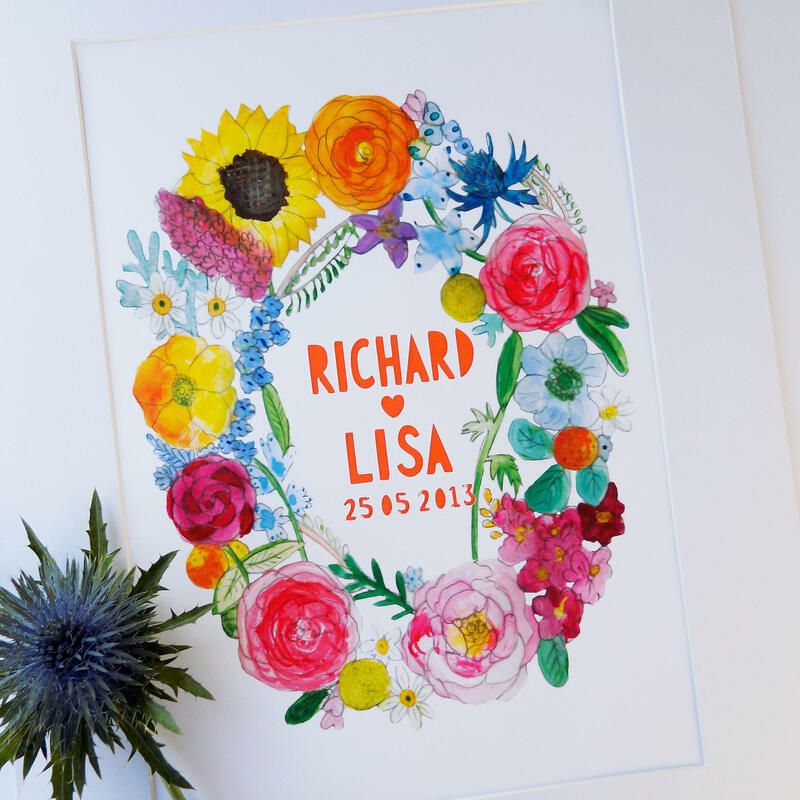 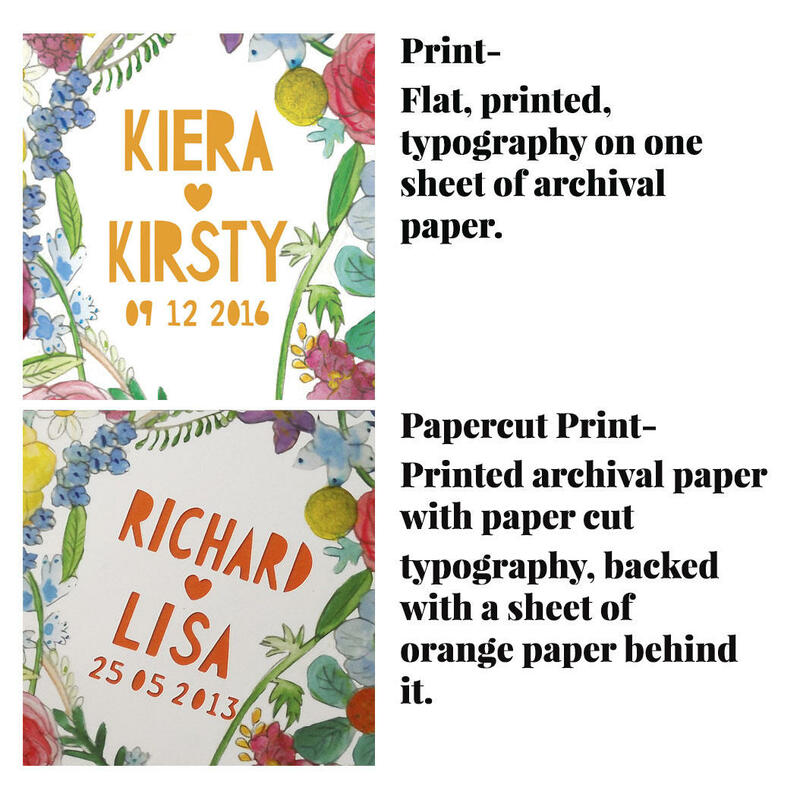 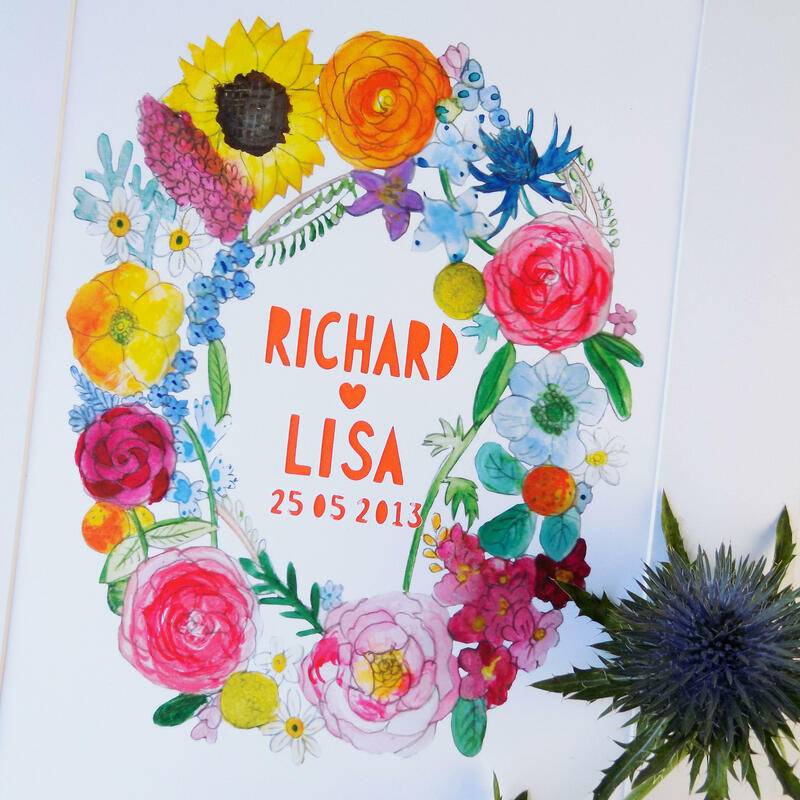 A pretty personalised Summer watercolour floral wreath filled with flowers and overlaid with modern, bold orange typography and the personalised names of a couple and their special date. 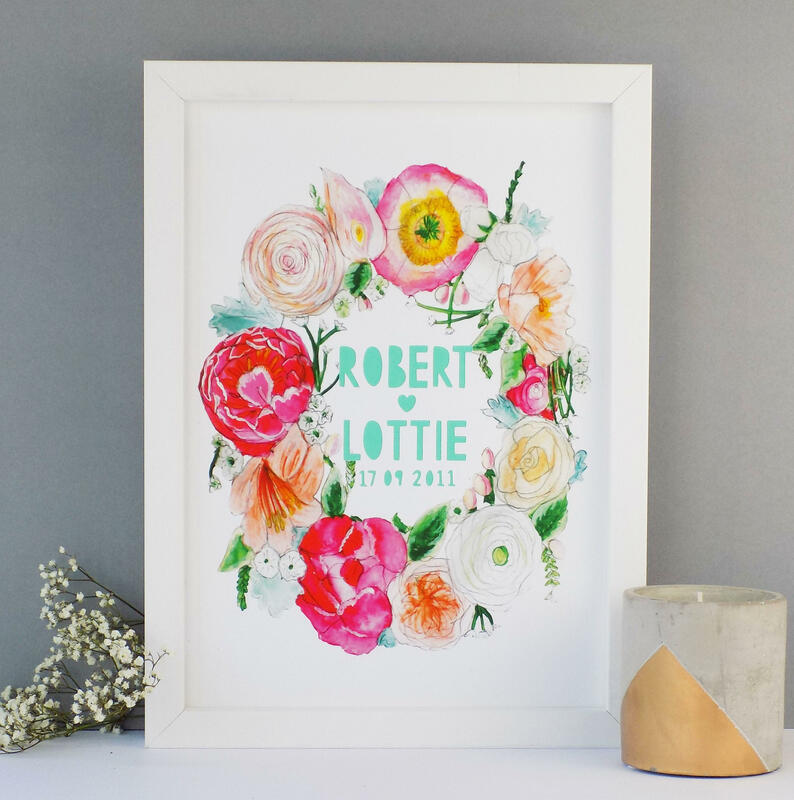 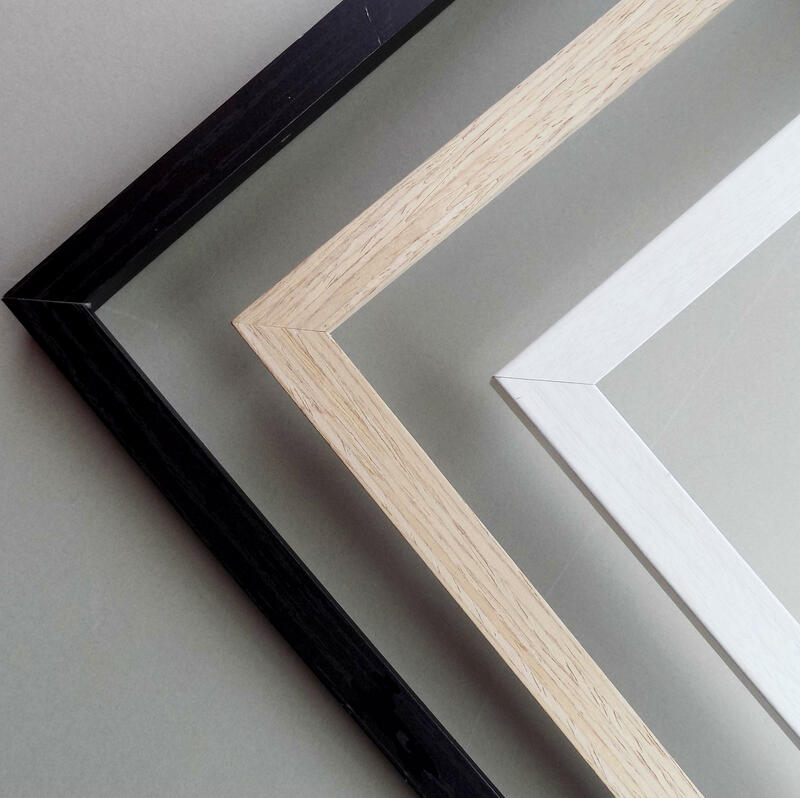 A great gift for any summer wedding, honeymoon, engagement or wedding. 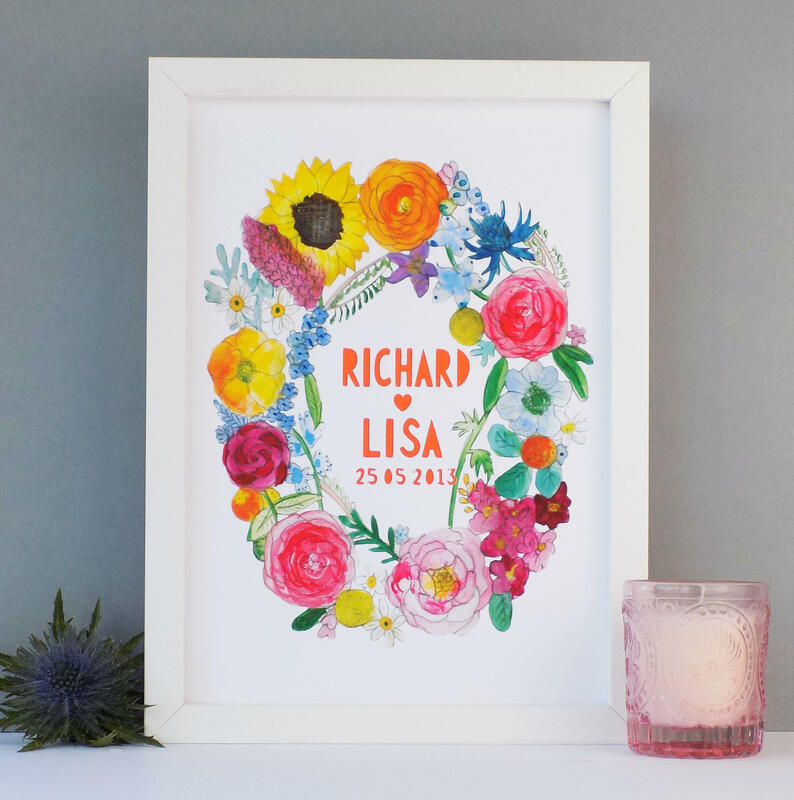 Please advise of names and date upon ordering.